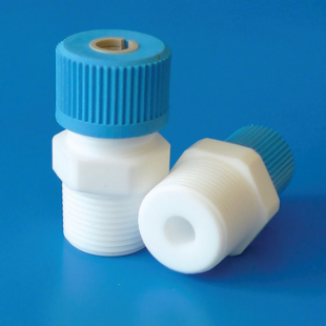 Compression Fittings are used with PTFE Reactor Lids to hold items such as temperature probes and sampling tubes securely in place. 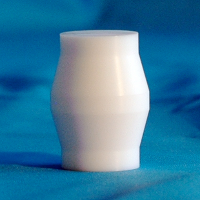 Compression fittings are manufactured from pure PTFE and include a PEEK olive to give a secure grip. To define the Reference Number of the required part add the bore size suffix to the required reference. Seal pack includes 1 clamp nut, 1 nut and 1 olive. Olive pack includes 5 replacement olives. 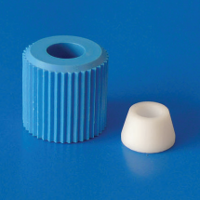 Plugs are used to seal a compression fitting without the need to remove the compression fitting from the reactor lid.